Eating gluten-free in Santiago can be a bit of an adventure. Though you’ll find plenty of naturally gluten-free and incredibly fresh fruits, veggies, and meats, there just isn’t much of a gluten-free culture in the city. That is, until you step into Bar Italia. 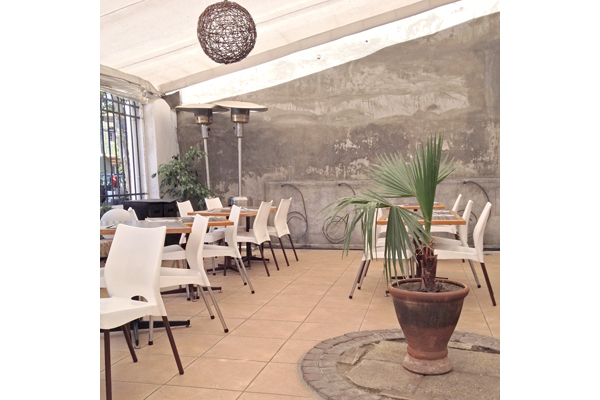 Located in Santiago’s hip, bohemian Barrio Italia neighborhood, this is the city’s only 100% gluten-free restaurant. The owner’s wife is celiac, and the restaurant and all of its delicious dishes are a lovely gift to her and other gluten-free eaters throughout Santiago. You won’t find a crumb of gluten in Bar Italia, and you’ll be hard-pressed to find dairy as well. Many of the restaurant’s dishes are lactose-free or can be modified accordingly. Though a gluten-free restaurant is a novelty in Santiago, only about a third of Bar Italia’s customers are gluten-free. This may sound surprising—until you start tasting your way through the menu. 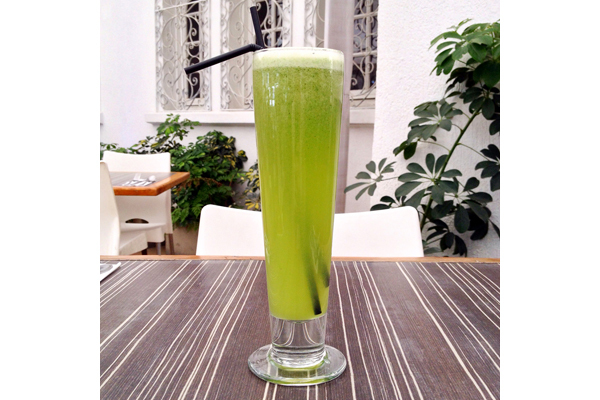 The restaurant specializes in fresh juices, most sweetened naturally and complemented by a variety of herbs. If you visit in the spring or summer, be sure to sip on a refreshing basil lemonade on the shady patio with your meal. Enjoy every crumb of the complimentary toast triangles served before your meal. The bread is baked fresh in-house and has a smooth, buttery flavor, thanks to its rice, tapioca, and corn starch base. 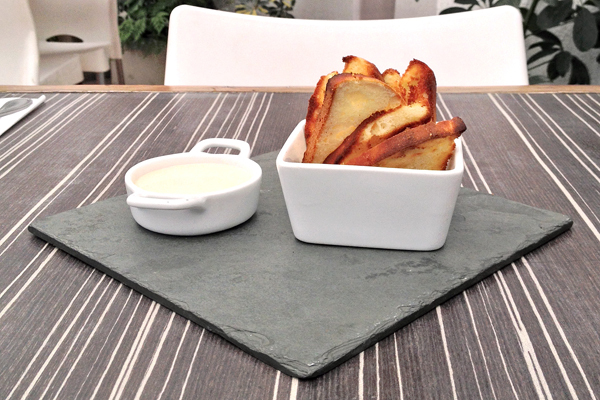 It’s especially great when enjoyed with the lactonesa, a dipping sauce made with lactose-free and egg-free mayonnaise. Bar Italia’s entree menu includes salads, risotto, and perfect cuts of meat, but the star of the show is the housemade pasta. Choose expertly layered lasagna, beautifully shaped ravioli, or one of the seasonal specials, all made with a quinoa and rice base. 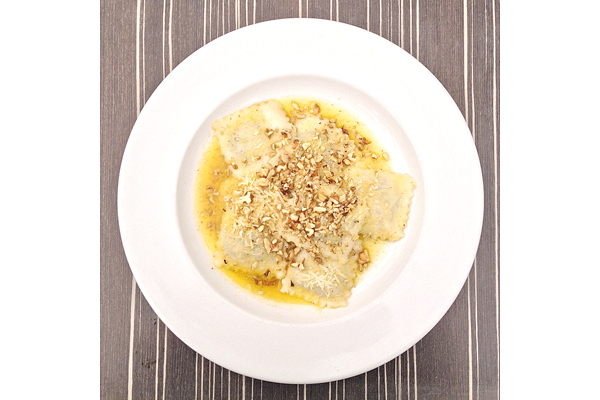 Served with toasted walnuts, shaved parmesan, and freshly ground black pepper, the spinach ravioli absolutely melts in your mouth. 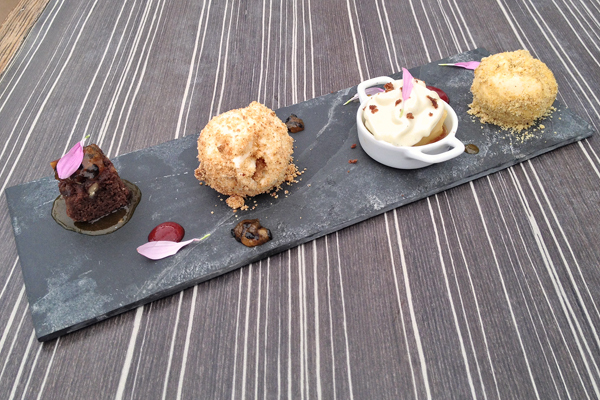 Whatever you do, save room for dessert. The brownies and Chilean flan are fantastic, and Bar Italia’s lactose-free ice cream is to die for. Rich enough to be a custard, it’s dusted a crust-like mixture and served as a sort of deconstructed pie. We can’t wait to enjoy another meal and a leisurely drink on Bar Italia’s welcoming patio! Where? You can find Bar Italia in Santiago’s Barrio Italia neighborhood: Avenida Italia 1423, Providencia, Santiago (2-250-32-870). If you’re not great with Spanish, don’t worry. The amazing staff at Bar Italia can help you navigate the menu and order the perfect dish for you. Looks like a wonderful find! I loved Santiago so much, such a fun city.